Social media is ever-changing. Be it new platforms, different consumption habits or varied forms of communication, social media platforms such as Facebook, Instagram, WhatsApp etc. are always coming up with innovative features or affordances that add different dimensions to the platforms. These changes not only help users engage in a number of different ways with their favourite brands online but also give marketers a chance to captivate their audiences through an array of tools and tactics. Our Digital media cheat sheet is aimed at helping Smart Insights premium members to keep track of the free and paid media options so that they're not missing out on any of the latest developments. It’s all about visuals in 2019. In addition to ephemeral content, video content generally, including live video, is a key area that marketers need to focus on. Video continues to dominate social media and is an equally big trend for 2019, as it was, for 2018. According to online marketing expert Marcus Sheridan, 80% of what we consume online will be video content, by 2019. Even YouTube continues to go as a platform, giving more and more YouTubers a chance to create original video content for their audiences. By making their presence felt across these video platforms, marketers can really benefit from the fruitful results of having and engaging an audience. "With organic social media for brands slowly trending towards zero across all social media platforms, businesses in 2019 will have to focus on two things to be able to continue to be seen in the newsfeed of their fans and target audience: 1. Engage and build relationships with influencers and invest in a comprehensive and long-term influencer relations program, and 2. Invest exponentially more in newer content mediums such as Stories and live streaming, as well as more traditional visual content mediums such as photo and video. Brands need to move from a text-first approach to a visual-first mentality when communicating, and similar to how every business became a media company with the advent of social media, they now must transform themselves into a visual magazine if not a television station in order to continue to be heard by the audience that matters to them." Live video is something that’s been around for a while, especially on YouTube, but its popularity across Facebook and now Instagram has made it a key opportunity for marketers to look out for in 2019. The interactivity of live video makes it a powerful tool for marketers to engage with their audience and strengthen the relationship between a brand and its followers. The authenticity of ‘going live’ is another factor that the audience can benefit from, as it helps build trust and loyalty with a brand. There certainly are some risks to ‘going live’, due to its technical complexities and the adhoc issues that may arise when you are on ‘live’, however, the followers are likely to understand that and it may even further strengthen their trust towards a brand, as only authentic content leaves room for genuine mistakes. "As we head into the new year and another evolution of social media marketing, it's great to look toward trends and developments. An eye to what's up-and-coming may help a business be more relevant or avoid wasting time on tactics that aren't going to be as popular. The thing is, the trend next year will be quite similar to the trend each of the previous few years: Video. As more and more devices and platforms support video - and in particular, live video - it's becoming imperative that brands have a video strategy. What's becoming increasingly evident though is that it's not enough to just 'go live' - you have to be able to offer a high production value and deliver excellent, engaging content. That's something Stephanie Liu talks about a lot within the 360 Marketing Squad group. Instead of just talking about your product or service, Stephanie recommends creating a video for every frequently asked question, as well as those questions customers should be asking. So it's not just Video that's trending, it's engaging video." Gone are the days where audience reception was primarily a passive process. The audience of today, the audience of the internet, wants to be involved, interact, react and co-create. 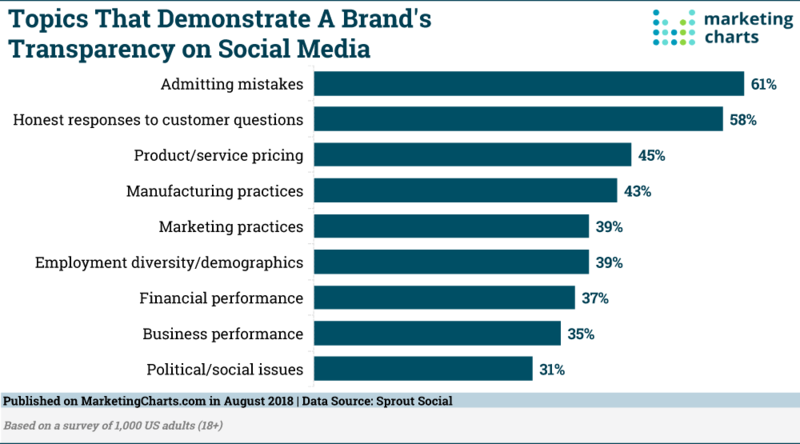 And the brands that are successful in delivering that to their audiences, are the brands that are likely to be more successful in their use of social media. The story feature and rise of ephemeral content across social networks is a key development that has gained a lot of popularity in 2018, with Instagram and Facebook stories hijacking Snapchat stories, and Instagram stories reaching around 400 million daily users. According to Entrepreneur, 200 million Instagram users use Instagram Stories each month. With millions of daily views across Facebook, Snapchat, Instagram etc., the stories format is likely to become the primary social sharing feature, overtaking the News Feed layout. This is why social media marketers have to continue to pay special attention to the rise of the story feature and ‘in-the-moment’ consumption as a primary way of information dissemination, one that is favoured by a large group of social media users and is enriched with short yet powerful visual communication. Mobile usage and shorter attention spans will continue to increase the popularity of short-lived content in 2019, especially with millennials and Generation Z-ers, who thrive on their relationships with brands being authentic and meaningful. Hence, it’s vital that social media marketers should establish a solid video strategy for ephemeral content, which not only allows the user to engage with the brand but also helps establish FOMO (fear of missing out) amongst the audience. "In 2019, social media content will continue to become more personal. With Facebook saying the Stories format will overtake the News Feed as the default for content consumption soon, we’ll see more brands embrace personal, authentic and in-the-moment content vs. overly produced, pre-packed content. This will mean more focus on the people and personalities behind your brand. Think about how you can use video, stories and images to connect your audience with the human - maybe even vulnerable - side of your business. You can do this by taking your audience behind the scenes and showing the work your business does day-to-day. If you’re a coffee shop, create a story of how you brew the perfect cup. If you’re a service business, take your followers on a tour of your office or show your team working. The key thing is to experiment. The stories format is still very young and as the content only lasts 24hrs, there are tons of chances to try new things without it lasting forever on your profile. And once you find something that works, go all in." store people’s data on a large scale. Earlier this year in March, news broke that a data-mining firm called Cambridge Analytica harvested personal data from around 87 million Facebook profiles, without the users’ consent, to build a system that would use micro-targeting and psychological profiling to target US voters with personalized political advertisements and influence the election results. While the company shut down as a result of the debacle, Facebook and it’s CEO Mark Zuckerberg received a lot of flack, both by the users as well as legal authorities. This has also led to other social media networks, as well as brands, to focus on establishing transparent and honest communication with their audiences, at a time when they might be battling with a sentiment of privacy concerns. Marketers need to find more authentic and dialogical ways of communicating with their customers, instead of one-sided marketing communications revolving around collecting masses of user data without offering any valuable proposition to the consumers. Europe’s General Data Protection Regulation also came into effect on May 25 this year, revolutionizing the process of data protection online, giving users more control and authority over their personal data held by companies. If the Cambridge Analytica scandal had happened post-GDPR, Facebook’s fine could have gone up to €1.4 billion. As a response to the breach of privacy fiasco by Facebook, the social media giant has come up with a number of measures to prevent such a thing from happening again in the future, promising more transparent methods of data collection, sponsored content and ad metrics in general. Even though organic social media marketing remains largely unaffected by GDPR, paid social media marketing methods have and will continue to become more transparent. If you want to gather your customer’s behavioural data online, you will have to obtain an explicit opt-in consent from your customers. "I foresee honesty and transparency making it big in 2019 and going forward on social media. People have caught on that the glamorous lifestyle of most Instagram influencers is not attainable or realistic, so they look to personalities who are honest when communicating with their followers. It’s the same for companies - most social media users have already seen every sales tactic, so they look to receive value and be inspired by real stories before signing up for offers and giving up their details. Another significant trend you can’t afford to ignore is using customer advocacy to strengthen your brand and attract more potential customers. This can be as simple as posting a photo with a review or running a Facebook retargeting campaign using customer reviews or creating video case studies. It’s up to you how far you’d like to take it, but make sure to always get permission to use the review and the personal details of the person before publishing them! As for the most exciting social media marketing opportunity, it has to be video. The industry has been talking about the adoption of video for the last few years and we have seen prominent developments and adoption on social media networks - from better options for Facebook Live to how Instagram Stories are overtaking the use of Snapchat. The great news is that there are plenty of tools available for you to get a head start, Adobe Spark and Animoto are some of my favourites." Although the issue of data privacy online leading to concerns and confusion within social media is likely to encourage brands to be more transparent in their data collection methods and communication online, it will still continue to exist in some way. Eva Taylor, Senior Manager for Social Marketing at Hootsuite, argues that a key trend for 2019 is personalization of customer experience, which goes hand in hand with online data collection through behavioural tracking. The internet has raised considerable concerns about privacy, making data protection a key issue, which cannot be eradicated until marketers stop providing personalized experiences online and consumers stop demanding them. "Looking ahead to the future of social in 2019 and beyond, the brands that are most likely to win are the ones that place personalization and customer experience at the heart of their business. Thanks to social media, consumers have come to expect seamless, curated experiences with every brand they speak to and they want these interactions to happen faster than ever. When thinking about marketing channels, social media is unique in its ability to allow for one on one communication at scale. For brands, unlocking this opportunity will depend on how they creatively leverage technology and data to make every experience feel both personal and personalized." From chatbots to social media ad optimization, platforms such as Google, Amazon and Facebook have been quick to adopt artificial intelligence to enhance customer interaction, especially in the form of online customer service. In 2018, the growth in AI-driven communication has been undeniable and Hootsuite has predicted that by 2020, more than 85% of all customer service interactions will be powered by AI bots. Millennials seem to be the quickest adaptors of chatbot-based customer experiences. According to Huffington Post, 60% of the millennial population already uses chatbots and 71% have implied that they would like to try using one. In 2019, more and more brands will strengthen their online customer service practices and even move to new platforms that may potentially offer more effective technology for customer service to thrive online, such as WhatsApp. 2019 will see the rise of WhatsApp as a primary social customer service channel. The release of the WhatsApp business API in August 2018 could be a genuine game-changer in the industry. If you’re not familiar with the change to the business API, WhatsApp will now allow businesses to respond to customers for free within 24 hours. This shift means businesses are now incentivized to reply to their customers faster. It puts the focus firmly on improving customer experience. As well as faster response times, WhatsApp hands power to the consumer as businesses can still only message people who contacted them first. The customer can talk to a business on a channel they are already using for communication (with friends and family) and on their own terms without being spammed with marketing messages. The power with WhatsApp really is in the consumers hands. It’s a very clever move by Facebook and WhatsApp. For those businesses considering WhatsApp but not quite ready to make the move to the messaging app as a customer-focused channel (and there are lots having this conversation), this could tip the scales. Twitter has long been the home of customer service on social media and the ‘go-to’ social channel for the majority of consumers. 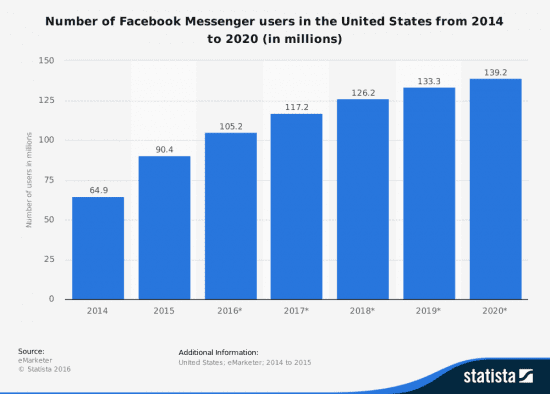 The changes to WhatsApp could have a real and lasting impact on Twitter usage and this would be a major shift in how consumers interact with brands digitally in 2019." Our social media strategy guide will help you create an integrated social media marketing strategy that shows you how to increase engagement to boost leads and sales using the social networks. The biggest development in this area has been the launch of IGTV by Instagram - a TV feature used to broadcast long-form video content in a format different to other videos on social media platforms - on June 20th. The rise of social TV and vertical videos, such as through IGTV, will encourage more brands to become broadcasters, meaning variety and novelty of different video content for mobile usage. At the launch, Instagram highlighted that "unlike on Instagram, videos aren’t limited to one minute. Instead, each video can be up to an hour long", establishing IGTV as a platform that is similar to traditional TV, with different channels, exclusively for Instagram users. Features such as these will continue to boost Instagram’s popularity amongst users in 2019, opening new avenues of social media marketing. "The most exciting social media trend of 2019 is going to be the continuing rise of Instagram. It’s now the second most popular social media platform after Facebook. In Social Media Examiner's influential 2018 report, 66% of those interviewed use the platform, up from 54% in 2017. Its popularity can be summed up in one word, 'visuals'. There’s a famous saying that 'a picture says a thousand words'. With the right image, you can tell a story about your brand, your product or your life that might take 1hundreds of words to write. Instagram’s visual format is perfect for attracting users who have a short attention span. And attention spans keep getting shorter, on average, they are just eight seconds! Another factor that has no doubt helped Instagram is their advertising platform. Whilst Facebook posts allow link sharing, Instagram doesn’t… unless you advertise. Businesses have woken up to the opportunity, and all types of companies, even those that are not particularly visual have been clinging on to the platform. The major brands are already all present on Instagram. During 2019, I am expecting smaller businesses to follow suit." Finally, organic reach on social media platforms is also changing. Earlier this year, Facebook announced major changes to its algorithm, to ensure users see more content from friends and family and less from brands and pages. As a result, brands that had effective methods of organic reach set in place didn’t face extreme declines in views and engagement due to this algorithm change and brands that didn’t make use of organic reach found themselves at a greater loss. This highlights a key area for growth and focus in 2019, perhaps one that marketers take for granted on social media, to increase their organic reach across social media platforms. All the different trends mentioned above effectively identify key ways to create more engaging consumer relationships on social media, which in turn, would help your brand increase its organic presence online, through evoking genuine interest and consumer needs. "With more businesses utilizing advertisement through search engines such as Google AdWords, 2018 saw the most competitive ‘bidding war’ yet for certain keywords, with businesses having to alter bids significantly and, in some cases, daily to remain competitive, with a chance of being visible. I believe in 2019 more small to medium-sized businesses will turn to digital tracking solutions and software’s to measure the impact of PPC campaigns, as it’s now time to measure the cost-per-conversion not cost-per-click. Although generating clicks through to the website is a start; how many of those clicks convert to become a customer? On several occasions, I have met with businesses investing significantly in pay-per-click campaigns because their competitors are doing it… However, their website is not mobile friendly or optimized correctly, which has resulted in a significant bounce rate from the PPC leads – not a wise investment. Is it time to take focus off PPC and invest marketing budgets elsewhere, perhaps make your website work harder organically? More rich content through social media, perhaps 360’ photos? Utilize Bloggers and online influencers to promote your brand online? Interesting times ahead. I also think VR imagery and video will be integrated with social media soon, to generate more marketing qualified leads through social media." "One of the biggest trends in social media that started in the past couple of years (especially thanks to Snapchat) and will most likely continue to grow a lot in 2019, is the use of augmented reality in social media. It’s a great opportunity for those who invest in this kind of technology to stand out from their audience and create fun, engaging experiences for their target audience: fun little branded games, branded filters for Facebook, interactive content, and maybe even AR-based social media ads."